The new purpose built workshop is really taking shape. In the beautiful garden location(Scarborough North Yorkshire), down by the veg patch with the sound of the hens scratching and clucking, the workshop nestles under the apple tree. This week the interior has seen a lick of paint and the electrics and lighting are having their final fit. The flooring was laid and we were so excited that we moved the first piece of furniture in. With classes starting on the 15th September we are pressing forward with the fitting out. Hoping to offer some taster sessions at the end of August. keep looking out or dates and details. Bookings will be limited. Starting September 2017 we are offering craft courses from our purpose built garden workshops in Scarborough. Our courses cover a wide range of textile craft, including wet felting , needle felting and crochet to dressmaking and lino printing. We’ve been teaching for a combined 31 years ( hard to believe looking at our useful appearances lol) The workshops have been custom made and are fitted with all resources required. Please see our flyer for a list of course dates. winter wedding season is nigh! walking the boys to school this morning it hailstoned! This got me thinking about the new winter wedding items we have made recently, but that are needing to be uploaded. 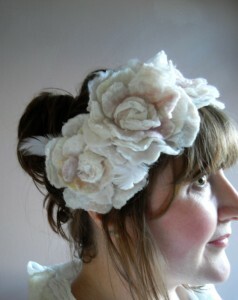 So when i got home i tried my best to take photos of myself wearing one of our new bridal items- the “Ethereal Flower band”. This stunning nuno felted flower head piece could due worn as a hair piece, choker or sash to perfect any winter wedding outfit. Look out for new items added soon. We have had our very first nerve wracking, exciting and positive day, exhibiting our felt items in Eat Me_space. Lots of positive feedback and compliments, and sales too! 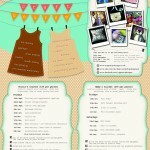 We are exhibiting all week, 25th August to 1st September inclusive. We will be there 10-4 every day. Look forward to seeing you! 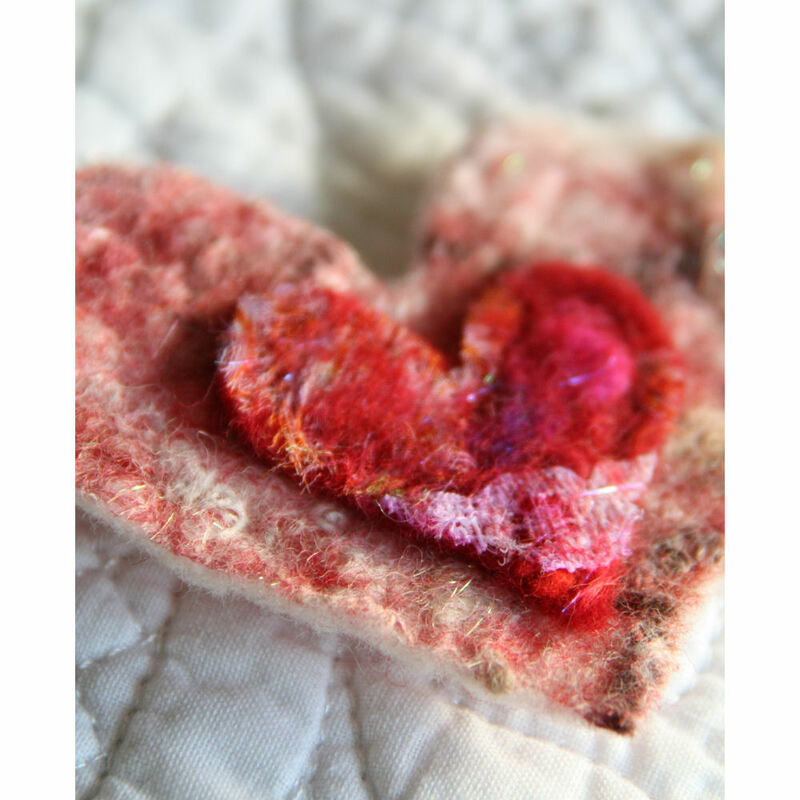 Our latest felt day was filled with love…. fueled by the upcoming love season. We made pieces of textured and detailed felt in creams, pinks, reds, cerises, and even teal green. This felt has then been lovingly crafted into brooches, ranging in size from 7cm x 5cm down to 3.5cm x 4.5cm. Can be worn in many ways- on cardigans, coat lepels, hats, bags, scarves…. pop one on and wait for the compliments to arrive! prices from as little as £5! Also available at Daisy tea rooms, scalby, scarborough for those who are in the local area. We have spent some time experimenting with felting techniques and have made a range of felt “paintings”. 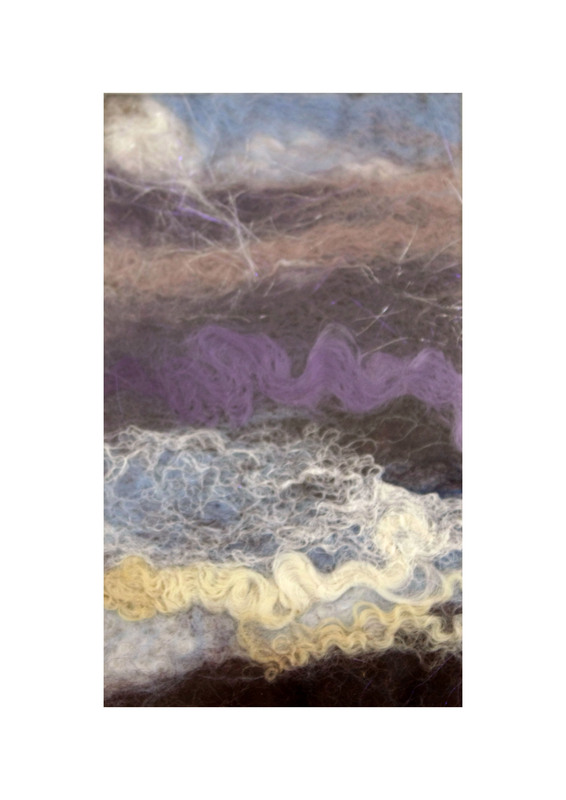 The paintings are inspired by sea scapes and a heavily textures and use a wide range of fibres including wool, yarn, burrs, nepps and slubs; as well as fleeces from different sheep, Wendleydale is very curly and really adds energy to a piece of work. We plan to start selling these during 2012. Here’s a sneak preview. 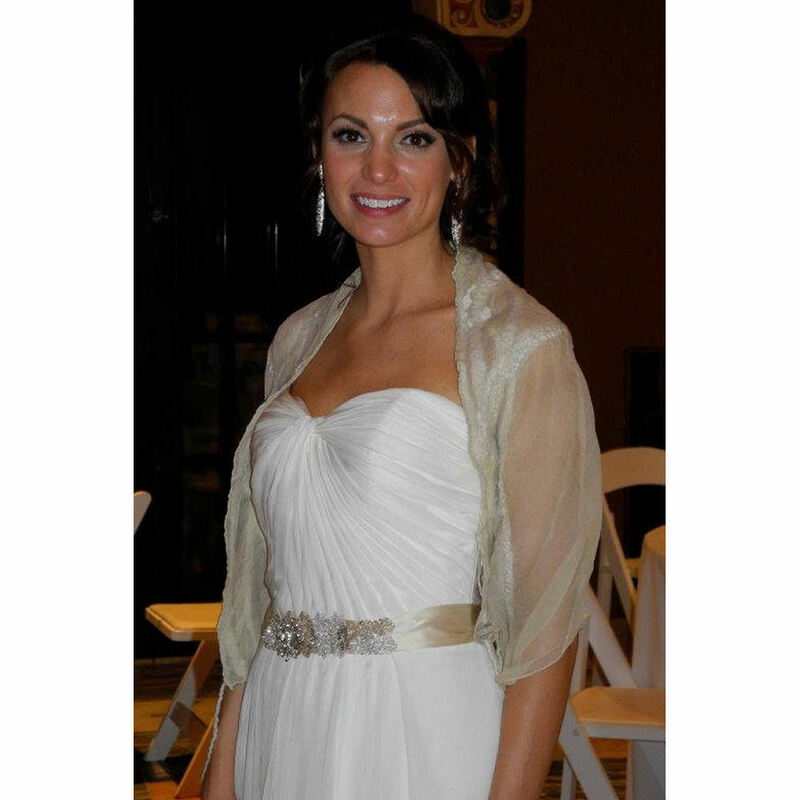 I was so pleased to get a photo of a customer who bought a wedding nuno wrap for her winter wedding. Jessica looked absolutely stunning, and left me a message saying she was really pleased with how her Old Romance nuno felted wrap looked with her wedding dress. I’m sure you will agree she looks a beautiful bride, and it made me feel very proud to have contributed, in a little way, to making her day special. Congratulations to Jessica. We wish you all the best for your future married life!